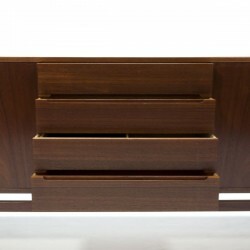 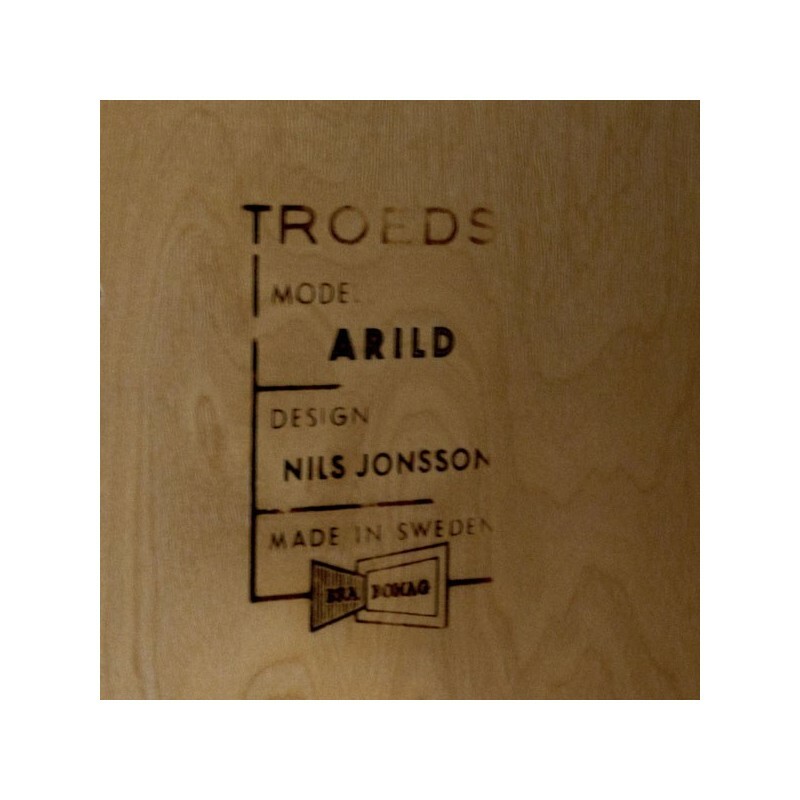 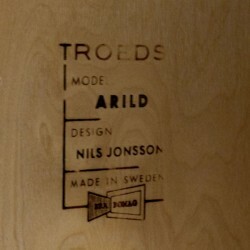 Design sideboard from the Hugo Troeds furniture factory, Sweden. 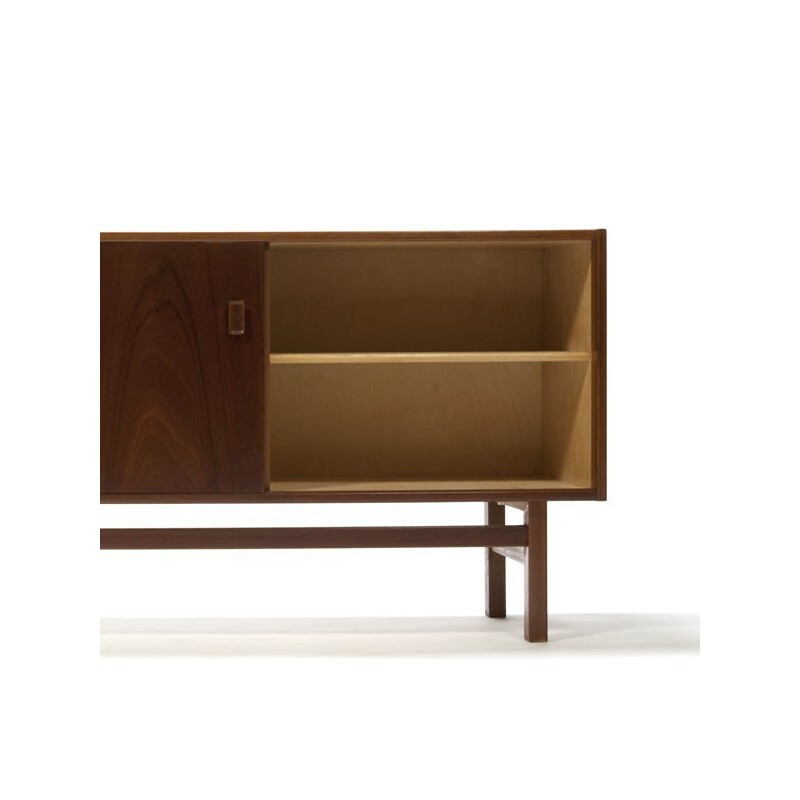 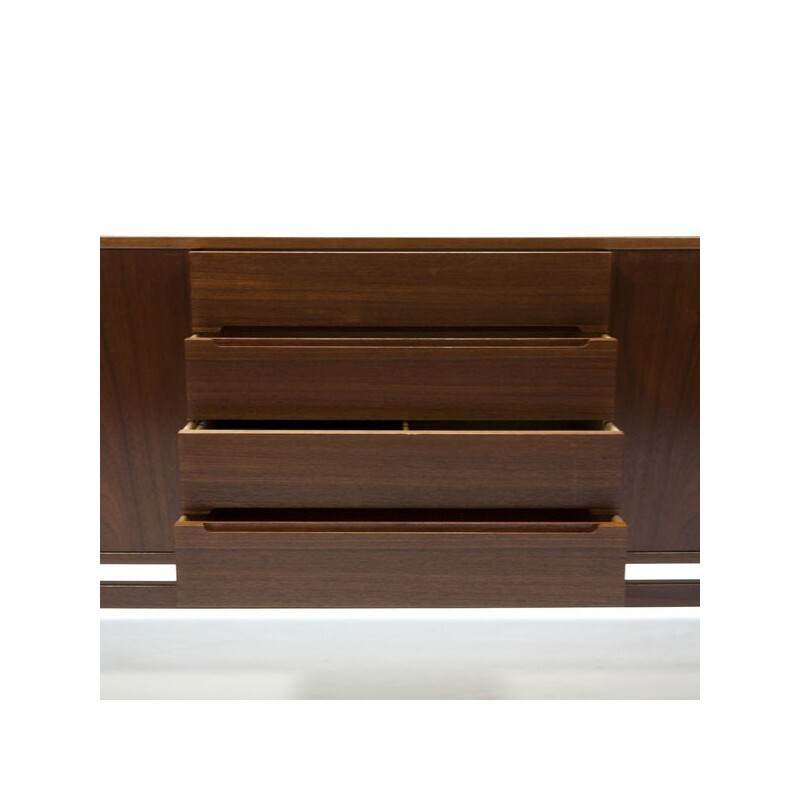 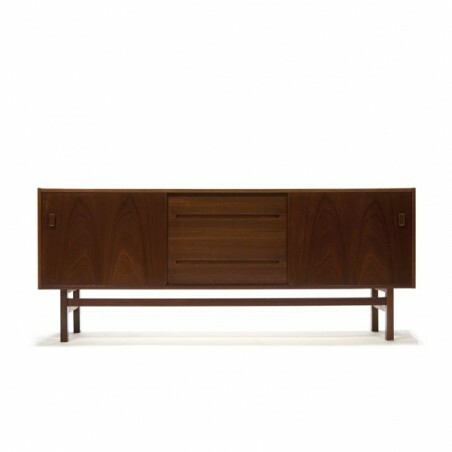 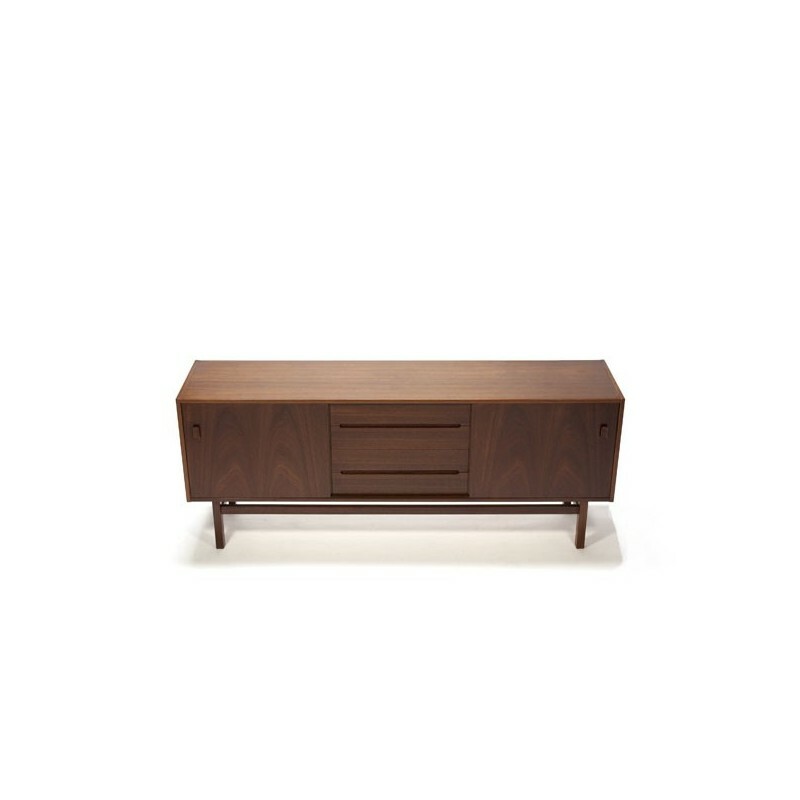 The sideboard, type Arild is finished in dark teak and designed by Nils Jonsson in the sixties. 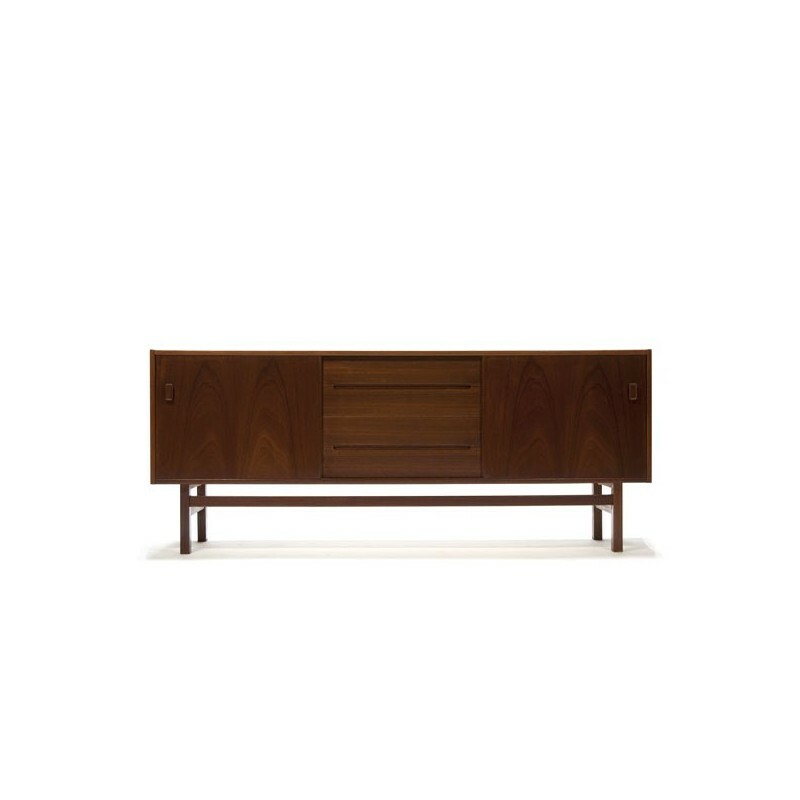 The sideboard has beautiful details, the most notable being the beautiful handles of the drawers, but the chassis is pretty sleek. 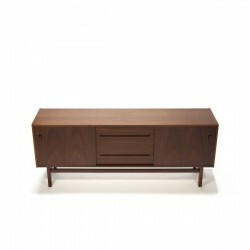 The condition is good, very light wear, see detailed pictures. 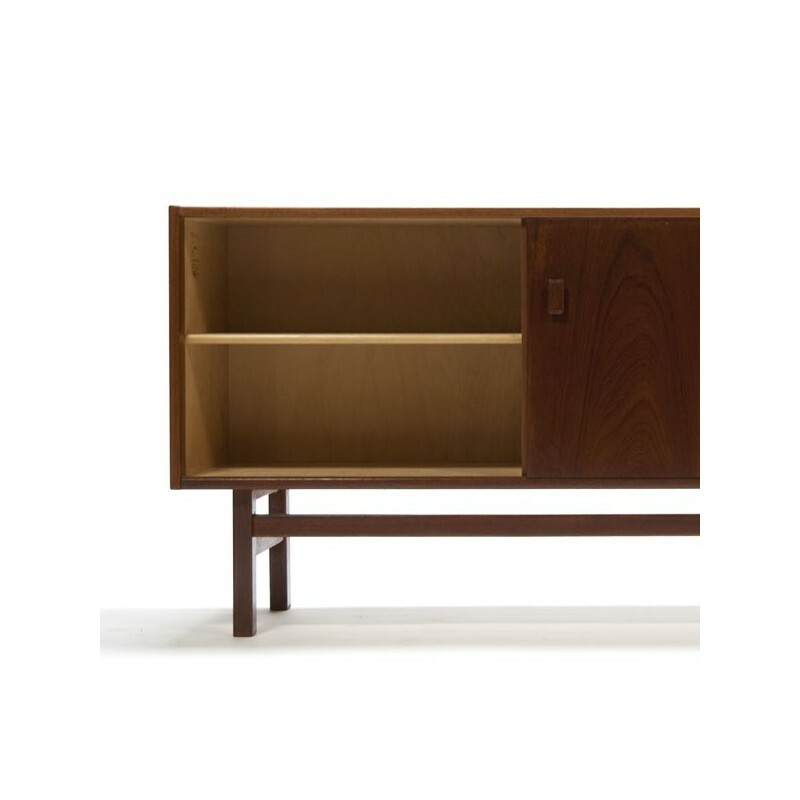 The size is 190 cm L / 42.5 cm W/ 77.5 cm H.